Alcohol is easily one of the oldest and most common recreational substances, dating back as far as 7000 BC — and historians surmise that alcoholism is likely to have gone back just as far. But what is it and what causes alcoholism? Those suffering from this affliction can be thankful that these questions are being asked — and more importantly, researched. For the great majority of the time alcohol has been available to humans, over-indulging was seen as a choice or — worse yet — a weakness of moral character. Thankfully, we now know beyond a shadow of a doubt that alcoholism (also known as Alcohol Use Disorder or AUD) is, in fact, a disease. Like any disease, there are often root causes, factors that increase the risk of acquiring it, and recognizable symptoms we can look out for. What Makes Alcoholism a Disease? Early suggestions that alcoholism could be a disease were met with derision and even accusations of making excuses for alcoholics. While this is incredibly unfortunate and much continued suffering occurred as a result, it’s easy to see why the uninformed are often so quick to dismiss the idea. On the surface, it doesn’t seem like what the average layman would classify as a disease — and further, those suffering from it are the first to deny that anything is wrong. However, as research began, it quickly became clear that alcoholism showed blatantly disease-like traits, which led the American Medical Association (AMA) to recognize it as a primary disease in 1956. This was further cemented by a report released by non other that the U.S. Surgeon General in 2016. The question of “why can’t they just stop when it starts to get out of control?” was also answered by medical research. Nefariously, alcohol abuse also disrupts normal prefrontal cortex activity — the part of the brain that controls judgment and decision-making. These issues point to another decidedly disease-like characteristic — a progressive nature. Slowly but steadily, the disease progresses until, if left unchecked, it reaches a point where it is almost impossible to control and possibly becomes fatal. Alcoholism also shares many traits with another class of diseases — obsessive/compulsive disorders. While certainly distinct from conditions such as obsessive-compulsive disorder (another disease that was not considered such for a long time), there is a clear component of obsession within alcoholism. The thought that the user musthave a drink is unrelenting — until, of course, the drink is taken. What Are Alcoholism’s Causes and Risk Factors? 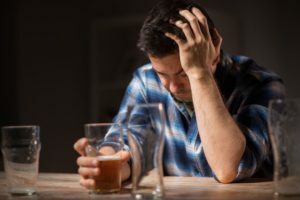 In another similarity with other diseases, the potential causes of alcoholism are numerous, sometimes difficult to prove unequivocally, and vary from person to person. A number of studies have suggested that there are hard and fast biological causes; one such study provided evidence that a failure to clear away a certain substance that inhibits signalling around neurons in the central amygdala could be to blame. Such studies are far from conclusive — however, there are a few things that are widely agreed to be the most common risk factors. Stress—This has long been known to be a risk factor for alcoholism. As with any psychoactive substance, alcohol provides an escape from stressful situations, jobs and the like. This is why in professions recognized as high-stress occupations, such as medicine or construction, alcoholism rates are unusually high. Ironically, alcohol abuse has been shown to increase the release of cortisol – the same hormone our adrenal glands release when we are stressed! The fact that the disease remains in the minority of all populations and occupations, however, tends to support the fact that there are generally interconnected factors. 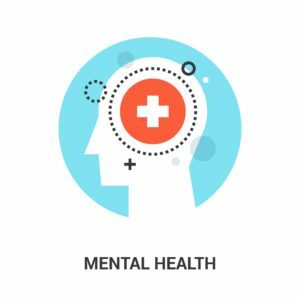 Mental Health Issues—Depression, anxiety, and other mental health problems are commonly seen in those suffering from alcoholism. As with stress, alcohol can seem to be a temporary solution – though we know it just exacerbates the problems. With already compromised brain function, alcoholism is especially dangerous in those with mental health issues. Making things more complicated is the fact that mental health issues can actually be the resultof alcohol abuse. This is why it is important to receive treatment from knowledgeable professionals who are experienced in treating such cases. Family Environment/Social Culture— In certain societies, the imbibing of alcohol is far more tolerated than in others. The same can be said for families and households. Once again, this may not be a problem at all for for many, but for those with other factors predisposing them to addiction, these environments put them at great risk. This also partially explains the high incidence of alcoholism amongst those in the service industry, such as bartenders, servers, chefs, restaurant managers etc. Beginning to Drink at an Early Age— This is a risk factor for a number of reasons. Perhaps the most simple is this makes drinking alcohol ‘the norm’. Those who then progress to the stage of suffering from alcoholism will be even less likely to recognize it — and be better able to hide it from others. Secondly, those who begin to drink at a veryearly age (pre-puberty) are at a huge risk. Science has shown the human brain is still developing well into our 20s and possibly even our 30s. Therefore, beginning to drink when the brain is its most malleable and continuing through its developing years can have disastrous effects. Lastly, the aforementioned rewiring of the pleasure centers that we know as ‘tolerance’ has been observed to be quite extreme in certain individuals who began drinking at an early age — thus the risk of regularly overindulging and falling further into alcoholism is increased. Early/Continued Social Isolation—Studies have shown that isolation, especially early in life, can increase the risk of alcoholism. This is not only due to observations made of those afflicted — controlled lab studies have shown test subjects such as rats to increase their alcohol intake when isolated. Taken out of their naturally social state, the young rats became stressed and anxious — states we now know to be risk factors. Shyness/Low Self-Esteem— It is a known fact that alcohol lowers inhibitions — and for many, this is one of the appealing features of the drug. Those that feel too awkward to interact with others often find themselves easily chatting after a few drinks. However, it is quite different in the case of those that are “chronically shy” – what we now know today to be Social Anxiety Disorder (SAD). These individuals, if untreated, find it literally impossible to interact with others, or in the worst cases, even leave their house. If alcohol seems to alleviate this situation, it is not uncommon for this crutch to quickly become an addiction. Drinking in ‘High-Risk’ Numbers—The National Institute on Alcohol Abuse (NIAA) has defined high risk drinking as more than 14 drinks a week for men, and 7 for women, and more than 4 drinks in any given day for men, while the number for women is 3. There are other risk factors as well, but one is more hotly debated and suspected by many of being the most important of all – we would not be surprised if it is the very one on the tip of your tongue as well. 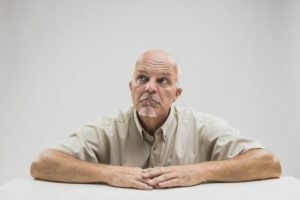 When the discussion about alcoholism being more complex than a choice made by individuals began, a major topic of debate was whether there was a hereditary component to the affliction. Those who believed it was a disease argued that, like many diseases, it most certainly was hereditary, while opponents of the theory argued that, if there was any correlation between family members, it was simply due to children copying their elder relatives. Through decades of studies, we now know that both of these things are true. Certainly, being in an environment where immediate or non-immediate family members visibly suffer from alcoholism is a risk factor for young people — one that increases exponentially when other factors are present. However, science has shown strong evidence that there is a genetic component to the disease as well. 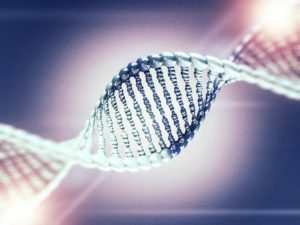 After many years of work, medical researchers published a paper in 2012 reporting that they had found as many as 11 pairs of genes that could be associated with developing behaviors we would generally recognize as alcoholism. These include a gene mutation that causes the aforementioned discrepancy in the levels of a certain inhibitor (gamma-aminobutyric acid, also known as GABA) that works with neurons in the amygdala. In affected individuals, the intake of alcohol does not reduce the amount of GABA in the same amounts as in unaffected individuals. As a result, drinkers will feel the effects of alcohol less, and as they generally feel less impaired, have the potential to drink more — and more often. As a genetic mutation, this will be passed down through generations. On the other had, there are also genes that may predispose a person to drink lessand therefore be at a lower risk of alcoholism. These include a gene variant most commonly found in East Asians that causes flushing, nausea and heart racing when alcohol is ingested. Due to the unpleasant sensation, affected persons are far less likely to drink, much less drink in excess. In yet another case of connectivity, any of the 11 genes found were associated with other neuropsychiatric disorders including bipolar disorder and anxiety. Alcohol Withdrawal Delirium or Delirium Tremens— The most severe type of withdrawal, which — in addition to all of the above — also includes extreme confusion and delirium, hallucinations, delusions, involuntary and painful muscle contractions, erratic breathing and heart rate, and even seizures which may prove fatal. First, it is important to note that there is no simple ‘cure’ for alcoholism. It is an infamously complex disease, with — as we’ve seen — numerous risk factors, causes and symptoms. The key to continuous recovery — and it is indeed a continuous process — is treatment by knowledgeable, experienced, caring and compassionate professionals who are able to help you identify the many likely root causes of your addiction and have the expertise to best treat all aspects of the disease. At Riverside Recovery Center in Spokane, Washington, our mission is to do just that. We provide a host of specialized programs to help each individual discover how to change their life for the better. To further increase the chances of continued recovery, we offer family programs as well. We even provide resources for employers to be better prepared to assist in recovery, and legal support services to reduce the stress from legal issues that may have arisen due to addiction. If you or someone you know is suffering from alcoholism and/or other addictions, we urge you to contact Riverside Recovery Center today. Beginning with a complimentary consultation, we can get you or your loved one on the road to a better life.